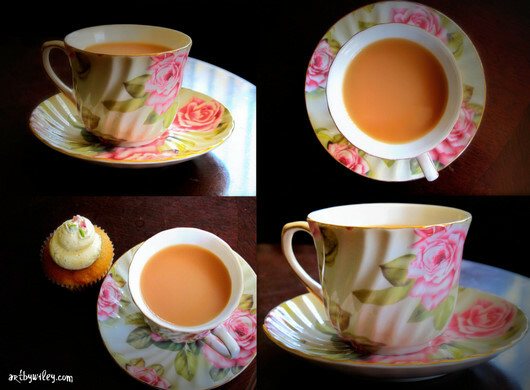 I'd been looking for a beautiful single teacup and saucer for a while. We only have mugs in our house. I think many people must be the same? Cup and saucer sets as a crockery standard seem to have 'gone the way of button-up boots' as my Nanna likes to say. But drinking tea out of a mug is just not the same. Milo out of a mug? Yes. A delicate brew of chai or camomile? Well, a teacup is nicer, isn't it. And having found this pretty cup and saucer for just a few dollars up the road at my local Salvos, I can testify that yes, the tea does taste better.